Perfect for a winter wonderland! Help him bundle up with scarf and fuzzy ear muffs! Includes self-sticking foam pieces, poms, and ribbon. Approx. 4" tall. Had a great time with this craft. 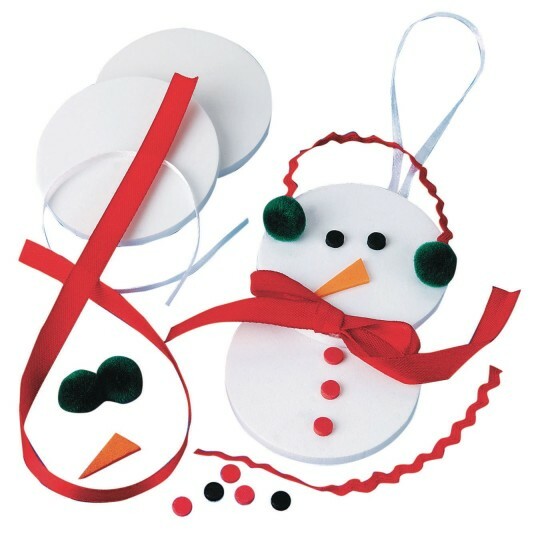 Very cute using as a holiday party craft for a diverse developmentally delayed population. Just the right challenge! Residents enjoyed them and were able to do everything themselves except tie the bow. A nice craft to keep the youth busy get them in the Christmas season spirit.